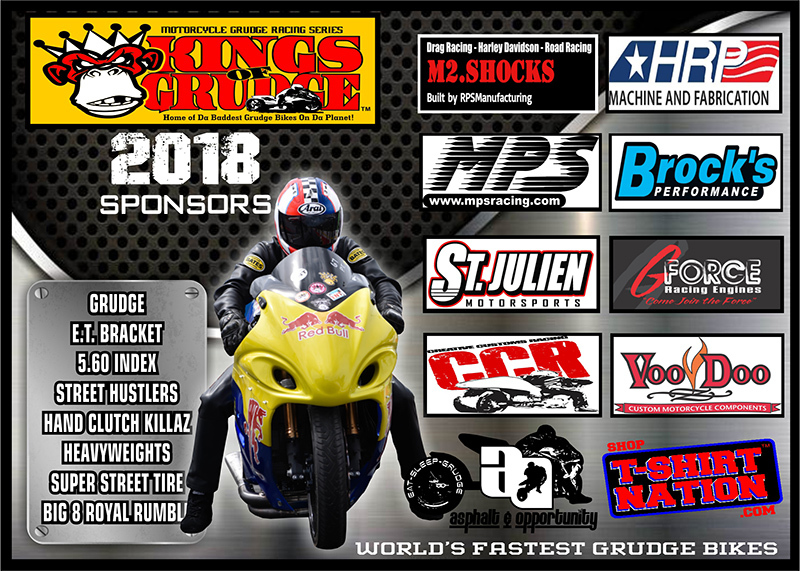 The home of the World’s Fastest Grudge Bikes would like to thank our sponsors for their support in the 2018 season. 2018 will be our biggest and best year yet, we appreciate the support we receive from our sponsors and our racers. See our schedule below and get it on your calendars!! The first race of the year, March 23-24, will feature a $1K to win Harley Shootout race and Big Bike Show in addition to the already packed grudge event. 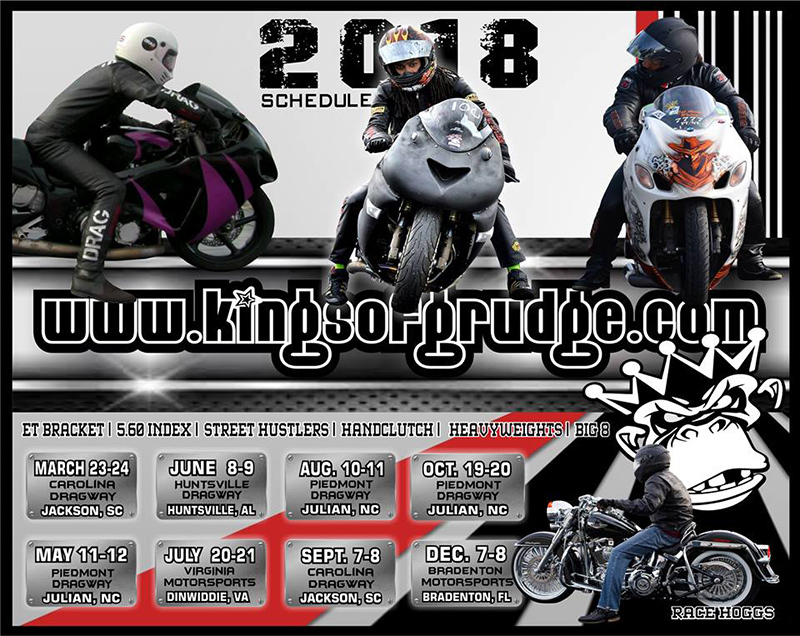 Learn more at www.kingsofgrudge.com or on Facebook.